Heavy-duty labels that look good. Labels used in the automotive parts industry have to be tough to stand up to the harsh environments where they are used. But that doesn't mean they can't look good, too. As in many cases, products are judged and purchased on the strength of their label. And auto parts are no different. Set your brand apart from the competition with unique, well-designed labels that showcase your products. You can use a wide range of materials to add value and style to your label and Weber can help you decide on the best fit of facestock and adhesive to guarantee that your label looks good and performs correctly. • Durable, UL-listed vinyl and polyester label facesheet and adhesive combinations make your label work for demanding, long-term applications. • Overt security and authentication labels that used fracturable materials (destructible labels), messaging adhesives and holographic images keep your brand safe from counterfeiting. • If your package contains petroleum distillate or other liquids, be sure to chose a printing process and lamination to prevent label damage. • Flexible label materials are available in case your product comes in a squeezable or flexible container. 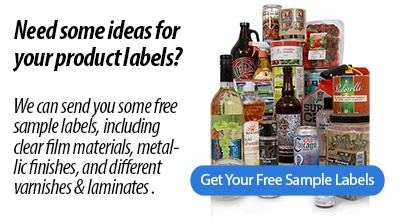 • Labels need to be eye-catching to compete on the shelf in automotive after-market stores. • Clear clamshells are popular options and can be labeled easily. • A good looking label adds to the brand awareness. • Labels can be wrapped around the container as a closure for tamper-evident safety.